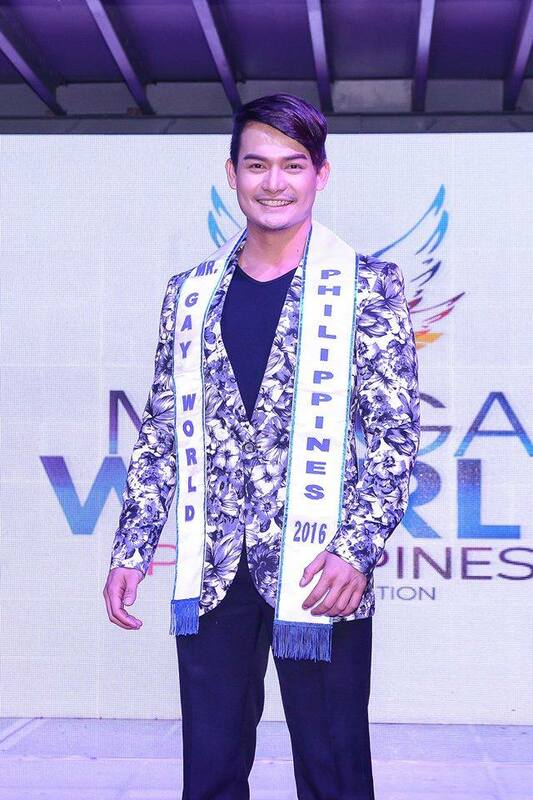 A high school teacher from San Fernando, Pampanga will represent the Philippines at the 2016 Mr. Gay World contest to be held in Malta on April 19 to 23. Christian R. Lacsamana, 30, holds a degree in Bachelor of Science in Education major in Music Arts and Physical Education and Heath from Don Honorio Ventura Technological University in Bacolor, Pampanga. He teaches Alternative Learning System. Lacsamana has been training under Kagandahang Flores for his pageant skills since January. He is also busy preparing his wardrobe that includes a spectacular national costume inspired by the Moriones Festival and the iconic jeepney. Lacsamana is also an advocate of HIV/AIDS awareness, testing, counselling and education and an active member of the Love Yourself Project of Loveyourself, Inc. which promotes the prevention and the spread of HIV/AIDS among the youth and affected population. He was personally handpicked by Mr. 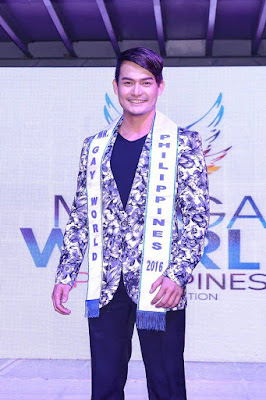 Gay World Philippines Organization President Wilbert Tolentino for the contest. It would be recalled that Tolentino was the first Philippine candidate to the Mr. Gay World contest held in Canada in 2009. That year, he won Best In National Costume, Mr. Popularity, and Best In Formal Wear. 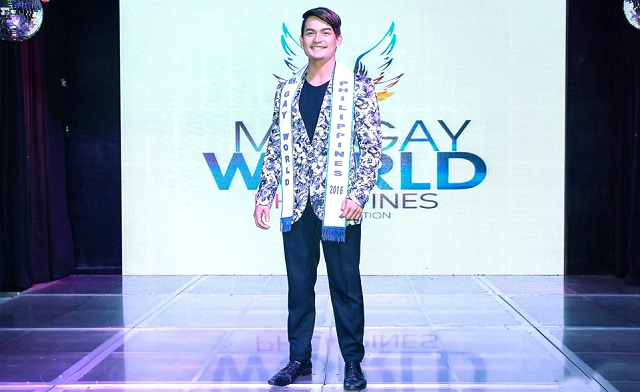 At the press send-off held at One 690 Bar in Quezon City recently, Lacsamana said that he dedicates his stint to the pageant to his mother who died of breast cancer. “I am with my mother in this contest. Aside from that, I have the people who would extend their arms and hearts just to give me that support I need,” Lacsamana also said. The Pampangueno recalled that his mother was very supportive of him when he joined the gay-themed contest “I Am Po-Gay” in the popular noontime show “It’s Showtime” aired over ABS-CBN in 2014. He ended up first runner-up in the finals. He also enumerated his five male celebrity crushes in local cinema. “I like Piolo Pascual because I like men who are tan and he has a very strong personality. I also like Alden Richards because of his dimples. Gusto ko rin si Jerico Rosales because of his positive attitude kahit na nagtitinda pa lamang sya nuon ng isda. I like James Reid because batang-bata and Richard Gutierrez because ‘lalaking-lalaki,” Laxamana added. Given the chance to become a female someday, he wanted to be like Maine Mendoza, the other half of the phenomenal love team of AlDub. But Lacsamana said that he would not vote for Rep. Manny Pacquiao of Sarangani in the 2016 national elections after the boxing champ compared members of the lesbian, gay, bisexual and transgender (LGBT) community to wild animals.